When Howard Hughes became a regular at the Beverly Hills Hotel, in 1942, he was in his late thirties and already one of the wealthiest people in the world, famous as a film producer, aviator, and entrepreneur. He was also becoming infamous for the obsessive-compulsive disorder that would intensify and come to dominate his life over the next several decades. The disorder manifested itself in myriad ways, most readily in his distaste for being around other people, exacerbating an already eccentric personality. Toward the end of 1947, after Hughes survived the first of several near-fatal plane crashes, he locked himself in the screening room of a studio near his home for four months, reputedly living off of chocolate and chicken, distracting himself from near-constant physical pain by watching movies. Soon after Hughes emerged, he rented a bungalow in the Beverly Hills Hotel, reserving individual rooms for several associates and girlfriends. 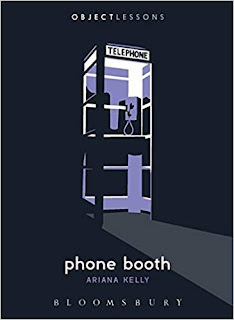 He put the hotel staff through their paces, demanding that they place roast beef sandwiches in the crook of a particular tree, hide pineapple upside-down cakes for him throughout the grounds, and, finally, install a phone booth in his suite. The hotel, of course, had personal phones as well as public phone booths, but by that time Hughes felt that most of the world could not be trusted. “They’d switch different booths in and out of different bungalows,” reported producer Richard D. Zanuck to the Los Angeles Times, “because he [Hughes] didn’t want to go through the hotel operator.” Hughes had the requisite power and money to remove himself from the fray as much as he wanted, enjoying both the psychological and physical shelter provided by a literal phone booth.